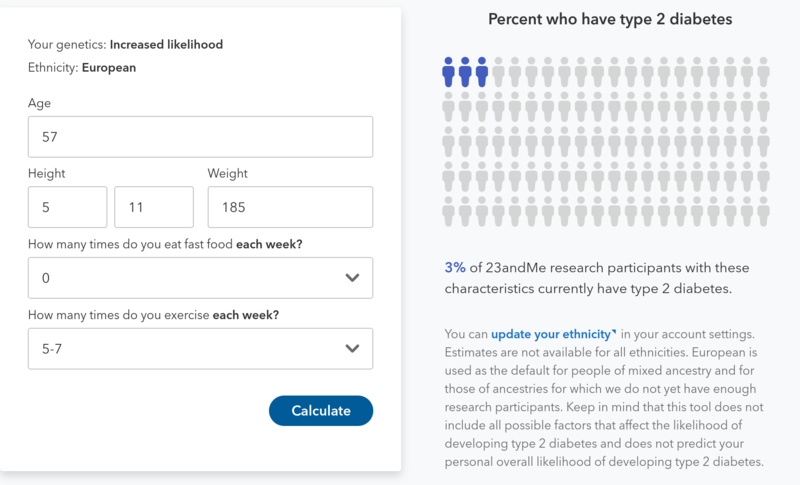 23andme rolled out a new type 2 diabetes report this month that’s revolutionary. Previously, 23andme results told the average person obvious things like that she/he does, indeed, have blue eyes and dimples. They also made it easier to find unknown relatives. The new analysis goes a lot further — it quantifies your risk of type 2 diabetes based on your genes. My are higher than average. The report goes a lot further, though. 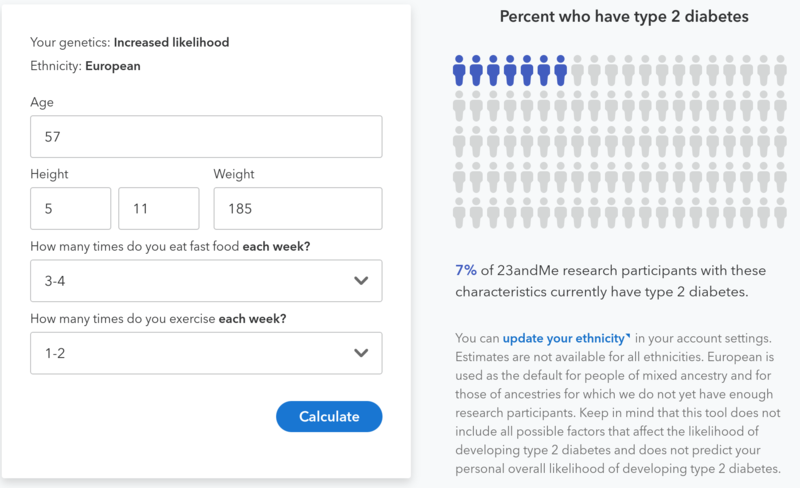 Thanks to survey respones submitted by other 23andme users, the report illustrates exactly how food and exercise choices impact my personal risk. 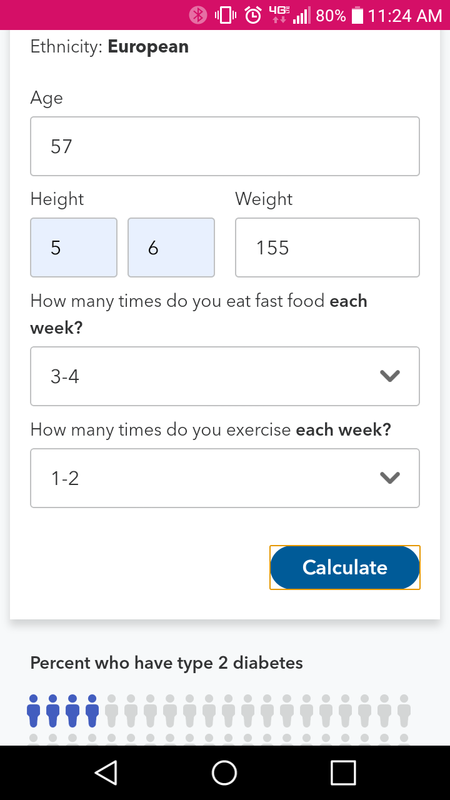 For example, even with unchanged weight, my risk of Type 2 diabetes more than doubles if I exercise less and eat more fast food. See two scenarios below — the first is my current “clean living” mode, the second is, unfortunately, easily achievable. And below the graphics for my results, a quick look at a friend’s risk profile, which is very different under both scenarios. A friend shared her profile, adjusted to mirror my age and relative weight. At my age, her risk of type 2 diabetes will be 33% lower under the frequent-exercise-and-no-fast food scenario and 43% lower in the some-fastfood-and-low-exercise scenario than mine. Here’s her risk prediction for that scenario. Pretty amazing to see the differences in our metabolisms so exactly quantified.